Lucas and Katya were boarding school seniors when, blindingly in love, they decided to have a baby. Seventeen years later, after years of absence, Lucas is a weekend dad, newly involved in his daughter Vera's life. But after Vera suffers a terrifying psychotic break at a high school party, Lucas takes her to Lithuania, his grandmother's homeland, for the summer. Here, in the city of Vilnius, Lucas hopes to save Vera from the sorrow of her diagnosis. As he uncovers a secret about his grandmother, a Home Army rebel who escaped Stutthof, Vera searches for answers of her own. Why did Lucas abandon her as a baby? What really happened the night of her breakdown? And who can she trust with the truth? 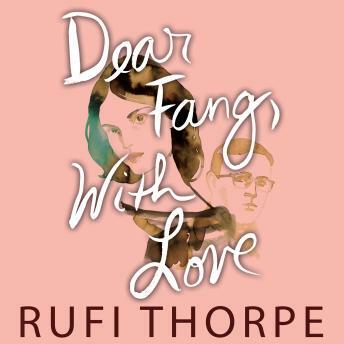 Skillfully weaving family mythology and Lithuanian history with a story of mental illness, inheritance, young love, and adventure, Rufi Thorpe has written a wildly accomplished, stunningly emotional book.